MMU Mullana MBBS and BDS Admission 2017 will be done on the basis of NEET 2017 Scores as per the order of Supreme Court of India. 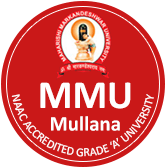 Maharishi Markandeshwar University (MMU), Mullana is a deemed university established in 1993. MMU MBBS & BDS admission will be in MMU Mullana Institute of Medical Sciences and Research & MM College of Dental Sciences and Research respectively. MMU application for Admission process into MBBS & BDS course will start soon, the candidates who are looking forward to applying for MBBS/BDS in MMU are advised to keep a check on this page for latest updates. Till 2015 MMU used to conduct MMUCET entrance test for MBBS & BDS. Age: Candidate should be a minimum of 17 years on December 31, 2017. Education Qualification: Applicant should have passed senior school examination (10+2) or its equivalent with minimum marks for passing along with 50% aggregate marks in Physics, Chemistry, Biology/Biotechnology and English. (45% for locomotive disability students). The candidates passing the qualifying exam from National Open School are also eligible. Candidates with a compartment in any 10+2 subject will be considered for admission to MBBS/ MD course if they pass in that subject before counseling. Foreign Candidates - Foreign national shall be admitted to MBBS/BDS only if they are sponsored by the respective Ministry/Department of the Government of India. MMU application for Admission process into MBBS & BDS course has started and the last date to apply will be in August 2017, up to 4:00 PM. Foreign Nationals are not eligible to take admission in MMU colleges. The online application forms are available on the official website of MMU that is mmumullana.org. The above rate of fee for MBBS/BDS are excluding the registration fee of Rs.40,000 and the university charges of Rs. 18,300. MMU Admission to MBBS and BDS course will be made on the basis of NEET scores 2017. At the time of Admission, if two or more candidates secure the same marks in the entrance test, their relative marks will be determined by the total marks obtained by them in Class 12 examination. In case the marks in class 12 examination are same, the candidates older in age will get the preference. MMU Counselling dates will be announced soon after the registration for admission process is over. The candidates can make their own choice for Institution and the course at the time of counseling. The allotment of the seats will be made on the basis of merit at the time of counseling. If a candidate opts for a course and Institution before the counseling Board and fails to join the concerned course/college, then his/her candidature gets automatically canceled and such candidates will not be allowed for the next round of counseling. The candidates who fail to attend the Medical Examination of the notified date will forfeit the claim for admission and placement in the waiting list in order of Merit. MMUCET Exam Pattern- As MMUCET exam is canceled, the below-given exam pattern is no more valid. The medium of question paper is English. It will be an objective type question paper containing 120 questions on Physics, Chemistry, Biology and Zoology. Each correct answer will be awarded 3 marks and 1 marks would be deducted (negative marking) for every incorrect response. Candidate must use black ball point pen for answering on OMR answering sheet. MBBS is a 4 and a half years course followed by compulsory rotational internship of one year. BDS is a 5 years course including compulsory rotational internship of one year.